BAAAATMANNNNNN! These games are fantastic. Couldn't of been more excited to find out about the new title when it got announced earlier. There are some changes to discuss, and then I'll hit you with the release date! There will be a new developer for this game. Warner Bros. Montreal have taken over for Rocksteady and they will be taking this project in-house. They will be using previous assets used by Rocksteady, but unfortunately Rocksteady will not be involved. No information has been released as in to why they won't be working with Warner Bros. I'm sure we'll find out soon enough, though. They will continue to use the custom Unreal Engine that Rocksteady used so as to make the game have the same look and feel to it as the previous games in the series. Or, if this is a prequel story (as "Origins" would suggest!) then it would be future games, not "previous games". Eric Holmes, lead designer of games including The Incredible Hulk: Ultimate Destruction and Prototype, is leading the project. Villains such as Deadpool will be the focus for this game. Mark Hamill has left his roll of The Joker and said he won't be returning. This leaves two choices: 1.) They use a different voice or 2.) they won't use The Joker at all in this game. However, if this truly is an origin story, we may see Harley Quinn as she used to work at Arkham before her life of crime. The Joker was admitted many times, so we may see him somewhere in the background. There are so many villains that frequent that maximum security (yet easy to escape) institution. 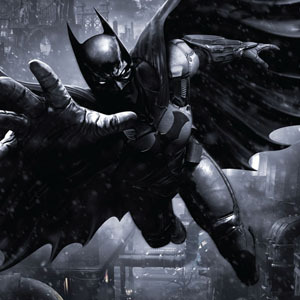 Batman: Arkham Origins will launch for PS3, Xbox 360, PC and Wii U on October 25. This launch will coincide with the release of the handheld game Batman: Arkham Origins Blackgate (3DS, PS Vita). For those who aren't aware, Blackgate is the prison in Gotham that is located on a small island. It is referenced many times throughout the Arkham series of games, however it is never really seen. There were rumours a few months ago of a Silver Age Batman game. There is no word on if this is it, or if Rocksteady will be working on that. I will keep you posted! I would be surprised if this was it considering the SIlver Age of Batman focuses quite heavily on the Joker, but we will see! You guys looking forward to this? Let me know in the comments section below!